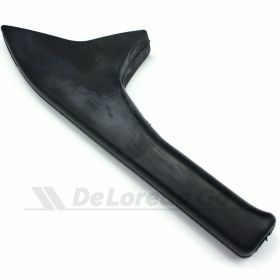 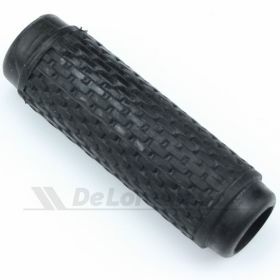 Since the original parking brake sleeves are no longer available, if you are missing yours then your options are limited. 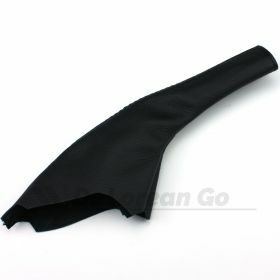 This is a vinyl lower gaiter, and will require some trimming to fit and operate perfectly. 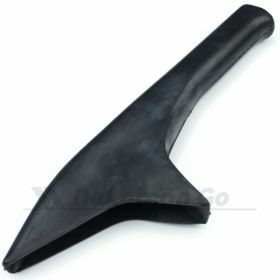 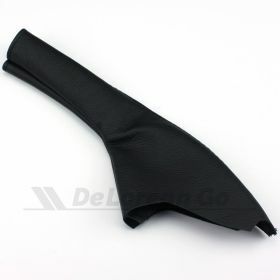 Paired with an upper grip (available separately) it will do the job better than nothing, and still look period-correct. 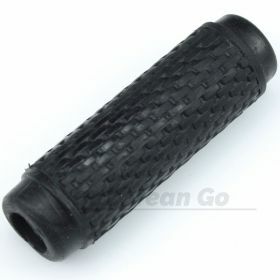 Pictures 3 and 4 show it fitted with optional upper grip.